Anyway, onto the mani...ahhh it turned out so good! 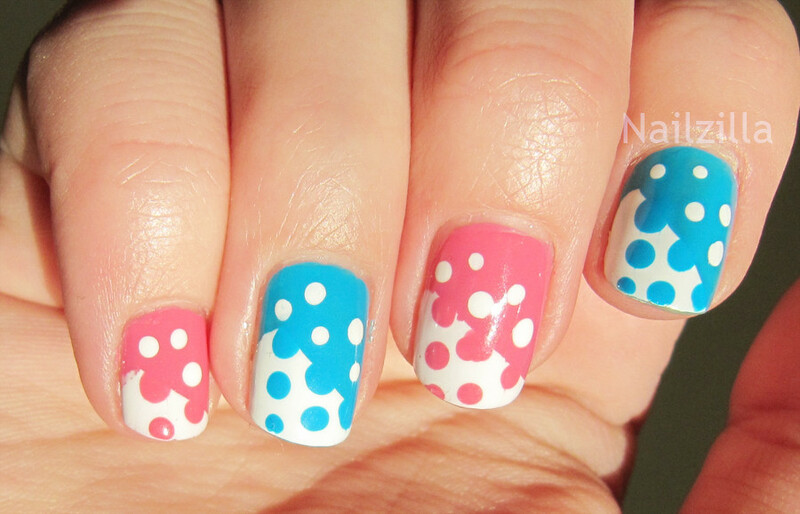 I used ELF - Bubble Gum Pink and Sally Hansen Xtreme wear - Blue Me Away! for the base colours and Sally Hansen Instadri - Whirlwind white for the dotting. On my thumb is OPI - Save Me glitter. This is so cute and a great color combo! It is a lovely design! Thank you! Yes it is something so striking and looks complex but is much simpler than it looks. this is just SO. CUTE. YES that was it! *adds to post* thank you!